Medical Research Anti-Kickback Defense Attorneys - Oberheiden, P.C. Federal investigators view pharmaceutical research studies with a suspicious eye to make sure that such studies are not merely a façade for medical marketing tactics. Such suspicion follows the exposure of numerous kickback schemes disguised as research studies, including schemes committed by major corporations. For example, pharmaceutical stalwart Merck & Co., Inc. paid $399 million dollars in 2008 to settle claims that it cloaked illegal kickbacks paid to doctors as market research fees (source). The complaint alleged that Merck sales representatives used over a dozen different programs to induce physicians to use Merck products that primarily consisted of excess payments disguised as fees for training, consultation, or market research. More recently, in 2013, pharmaceutical giant Johnson & Johnson paid $149 million to resolve allegations that payments made to a national pharmacy for “educational funding” were actually kickbacks intended to induce the pharmacy to promote its drugs to nursing homes. The pharmacy has also paid $98 million to the government to settle claims regarding its own involvement in the kickback scheme (source). Whenever a pharmacy engages in a research study that involves payments to physicians (or any other financial relationship with potential referral sources) it should thoroughly examine the arrangement for compliance with state and federal law. Even if the arrangement is legitimate in concept, sloppy execution without a careful eye toward maintaining compliance can lead to substantial civil or criminal liability. The federal Anti-Kickback Statute (42 U.S.C. § 1320a-7b) prohibits medical service providers, such as laboratories, pharmacies, or hospitals from providing remuneration to influence patient referrals. For the purposes of the Anti-Kickback Statute, remuneration is broadly defined to include any form of payment or benefit. It can include incentives such as free samples or services and above market payment for consulting fees. Those who accept improper kickbacks and individuals or companies who offer improper kickbacks may be prosecuted under the Anti-Kickback Statute. The Anti-Kickback Statute is implicated in the context of medical research studies when pharmaceutical companies use research studies as a mechanism to incentivize doctors to proscribe their medications to patients. While pharmaceutical companies may compensate doctors for the time they spend participating in a study, such as the time spent filling out questionnaires regarding a patient’s reaction to the company’s medication, companies risk running afoul of the Anti-Kickback Statute when they pay physicians more than the fair market value of their time for participation in the study. This above-market compensation could be considered improper remuneration for referrals because the doctors receive a financial benefit for proscribing the medication to patients. 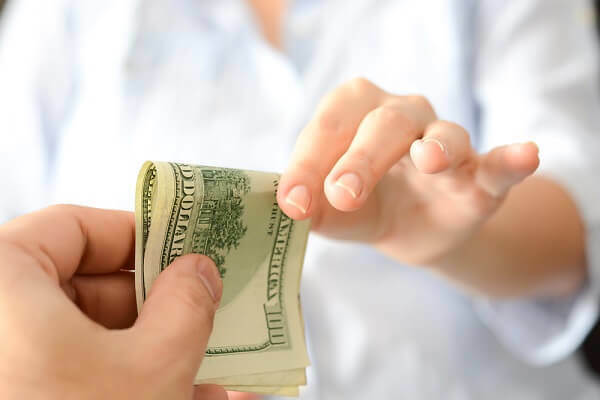 Government agencies regularly scrutinize payments to physicians made as part of medical research studies to determine whether the legitimate payments conceal illicit payments to influence referrals. Oberheiden, P.C. advises individuals and businesses on all healthcare related matters. As former healthcare prosecutors and proven defense attorneys, our lawyers represent doctors, pharmacies, laboratories and other medical services providers across the country being investigated for healthcare fraud. With an extensive knowledge of both healthcare laws and the healthcare industry, we counsel our clients on how to navigate existing government investigations and prevent future investigations.